April is Parkinson’s Awareness Month! To celebrate, The Village at Cedar Hill is pleased to host the next presentation in their popular Speaker Series, “Parkinson’s Disease: Beyond the Best-Known Symptoms” presented by Diane Sherman, Ph.D. Coordinator at the Parkinson’s Center, Dartmouth-Hitchcock Medical Center. The Parkinson’s Center is a collaborative effort of the DHMC Department of Neurology and the Dartmouth Centers for Health and Aging. Parkinson’s disease is known as a movement disorder causing tremor, rigidity, slowness and gait problems. Its symptoms, progression and responses to treatment vary from person to person. 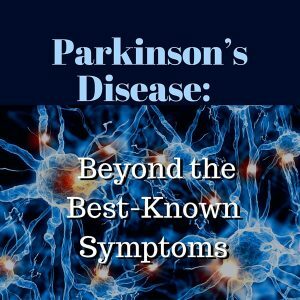 Come learn about other symptoms of this chronic illness and strategies for dealing with them, and the resources available through the Parkinson’s Center. Diane Sherman received her Ph.D. in Biology from Yale University and completed a postdoctoral research fellowship at the University of Wisconsin. She was an instructor and research professor at Dartmouth College before joining Dartmouth-Hitchcock as Coordinator of the Parkinson’s Center. Visitors are invited to tour the expanded North Village, where we added 20 Independent and Assisted Living Apartments and a State-of-the-Art 20-bed Memory Care Center in 2015. Cedar Hill staff will be available to provide additional information. The Village at Cedar Hill Speaker Series will continue throughout 2016, with presentations on Nutrition & Wellness, What you Need to Know about Assisted Living, and Estate Planning in the coming months. 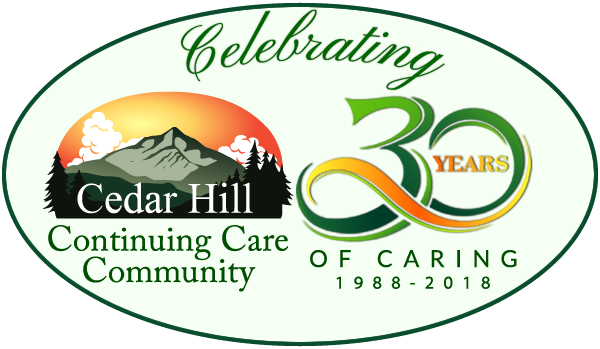 Cedar Hill was founded in 1988 by Mary Louise Sayles, a registered nurse and licensed nursing home administrator with many years of experience in long term care administration. Mary Louise’s daughter Patricia Horn, who is also a licensed nursing home administrator, is the Community Administrator.